On this day | Design Chick's Blogaboo! Today is probably one of the most important days of all time. 1. The first ikea store was opened in Slovakia. It was called Bi-way back then but it eventually changed to ikea because Bi-way sounds like ikea when said with a thick Slovakian accent. 2. Putridge Heslah changed his name to Brad Pitt. Yes the Brad Pitt…the one with all the children. 3. Buttered cinnamon bagels were invented today. 4. Those hand warmer things were invented today but they were originally invented to heat up cold burgers ‘on-the-go’. 5. Animal activist and ‘actress’ Pamela Anderson got really drunk today and had big juicy burger. She later tried to have plastic surgery to remove the burger from her body. The doctor suggested she poop. August 5th is a very important day in history. Not many people know that on this day Bryan Adams went into a pet store and purchased 2 hamsters. These small furry animals served as inspiration for his 2004 album, “room service”. With memorable tracks, “blessing in disguise” and “open road”, its not hard to feel the influence of his fetish. what a perv. Also on this day, in 1983, the little tab thingy on your office chair was invented – the western world has been enjoying smooth vertical transitions for 27 years now! wow, what an exciting advancement. Also on this day, in 1852, a man named Adam Kerfuffle walked into a general store in oklahoma and punched the owner in the face. The motive for this random happening is unkown, but it is said that multiple bistanders joined the fight, until a huge brawl had broken out. This stopped after 3 hours, when they realized they didnt know what they were fighting for. After a hot shower together and a couple of beers they decided to call their strange and somewhat sexual experience a “kerfuffle” – commonly know today as to describe a commotion or fuss! THIS IS SOOOO HUGE!!!! Like bigger than when dylans wife Toni died! 9 -this month, 2 today’s day, 10 – the year. Hoopla! 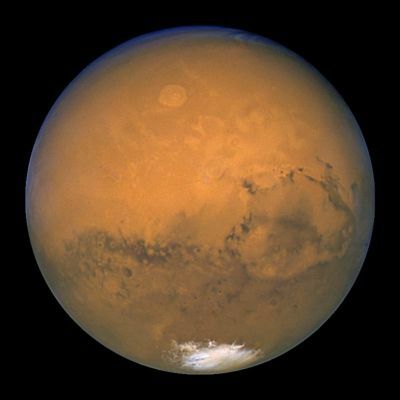 Literally nothing has ever happened today….except some rumour about Mars and the moon colliding in an intergalactic phenomenon. Here’s a pic that comes up if you search August 27…its a hybrid version of mars and the moon….perhaps the rumours are true. 1- Today is Kiss-and-Makeup day. 2-Today is National Secondhand Wardrobe day. 3- In 1939, The Wizard of Oz was first released. 4- Don’t tell my heart, my achy break heart but Billy Ray Cyrus turns 49 today. 5- Speaking of Billy Ray, if you type August 25th in google images, this one is the first to come up. Oh Miley.